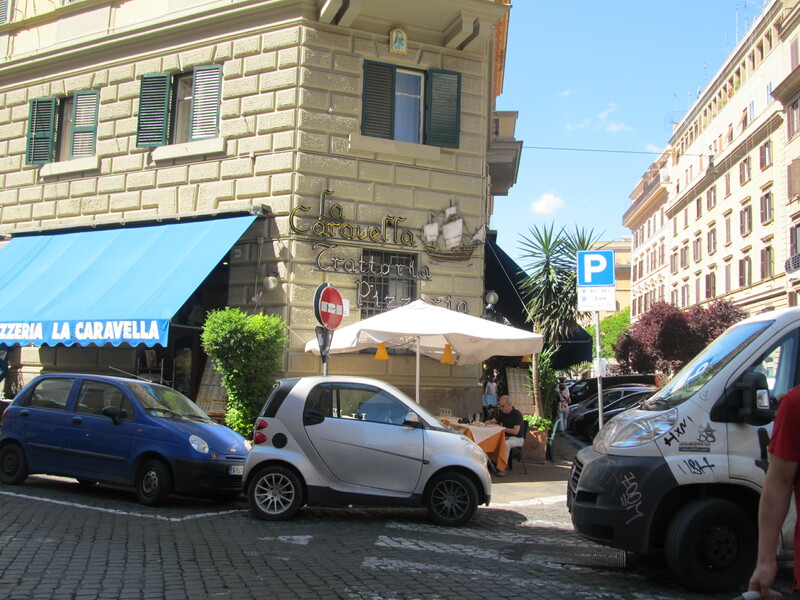 My family of five walked the sunny streets, looked over the shaded outdoor cafes covered by large awnings, and descended down steps near the Vatican entry piazza to try and find a bite for lunch before our scheduled tour. All of the tables were covered in linens. Most servers wore a tie. Throughout our time in Italy it was difficult to understand how so many restaurants could stay in business. But then again, when most of the world wanted to come to your country for vacation it wasn’t hard to imagine. We ate outside at Bar Canada, half at a high-top and half at a shaded lower table with a waiter speaking half Italian and half English to us. 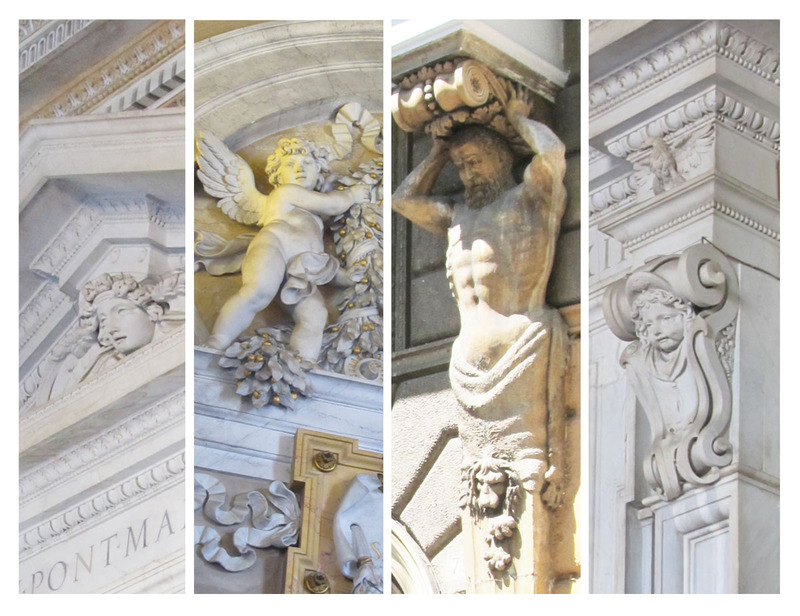 Architectural details in the surrounding buildings were evident in so many ways. The time spent in thinking, crafting and making the balcony brackets, which were pillars formed into men’s torsos carrying the weight of the floor projecting above on their heads were one of the many wonders. Who could carve this work? All the marble scrolls are so delicate. Above most windows there were family crests on the lintels. If our generation now could focus so much as these craftsmen did, appreciate what is valued in the talent and ability at hand, what could we do?